More students use Facebook more than any other social media platform. Social media has made it easier for people around the world to connect and communicate as well as start a new business. Facebook is the biggest social media network, it was founded in 2004, within 12 years they had been able to accumulate more than 1.59 billion users. Twitter with 320 million users was founded in 2006. Instagram with 900 million users owned by Facebook, launched in 2010. Snapchat was released in 2011 and has been able to accumulate 186 million users around the world. Throughout all this media people are able to meet new people, get informed, learn about things and more. On the other hand, too much social media can be a distraction, wrong information can be distributed, and it can become an addiction. In a random survey of 110 Morton East students, 41 reported that they use Facebook more than any other social media, 25 reported Instagram, 29 Snapchat, and 15 Twitter. Scanning social media is a favorite activity for many. “I use Facebook a lot mainly messenger because a lot of the people I talk to have Facebook so it’s easier to communicate with them,” senior Veronica Trujillo said. Many people of all ages use social media as a source of communication but the amount of time they spent on them is different for everybody. “Yo si uso las redes sociales pero no mucho, hay otras personas que se la pasan todo el día en Facebook es como si se volvieran adictos al internet,” Erika Rodriguez dijo. Times have changed and how people used to communicate before and now are totally different. “Antes las personas no usaban teléfonos y se mandaban cartas para comunicarse. Ahora la gente se pierde en el teléfono en cosas que no valen la pena,” señora Isabel Ruiz dijo. If people are sending more time behind a screen this means less physical interaction between them is being made. 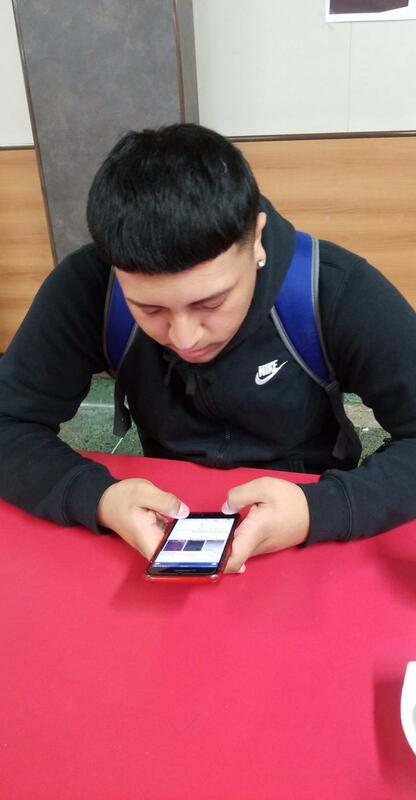 “Many people nowadays don’t even get to see each other face to face because of all these social media (platforms) so most of the time they don’t really know who they talking too,” Arismel Rojel said.